Screaming Thunder® the Motorcycle Riding Biker Blog is created by the Attorney That RIDES, aka Gabe Carrera, located in Fort Lauderdale, Florida. 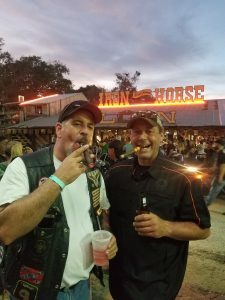 The blog was initially started to keep Gabe’s supporters informed with rider reports, pics and videos on his record setting Pan American Motorcycle Run that raised $50K+ for two different children hospitals located in South Florida. 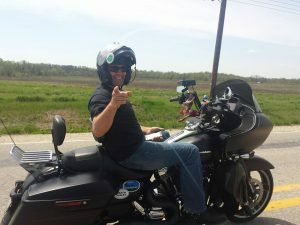 Mr. Attorney That RIDES set the record as the Longest Motorcycle Run from South to North on an American made motorcycle. This was set in 2015 within 70-days from Ushuaia, Argentina to Prudhoe Bay, Alaska on a 2013 Harley-Davidson Police Road King. The S. FL Biker Lifestyle and Long Distance Endurance Riding are two other important issues that Screaming Thunder® wanted to celebrate and educate the online community. Some of the nerwe features that Screaming Thunder will bring to its subscribers for free are video libraries, Biker Events, easier access to view the articles and content, friendlier mobile phone navigation and super appeasing for the eye when you land on the splash page. Events such as LDR events nationwide and South Florida parties and activities will be posted. One of the up and coming events/articles that will include rider reports, videos and pics will be the Pan America 2.0 Run in May 2019. Gabe plans on taking the challenge to ride half way around the world on a 2019 Road Glide Ultra with his Hoka Hey riding buddy Kelsey Dowell who will be riding an older HD RGU. The run is sponsored by Rock City Harley-Davidson and Gabe is in the works of obtaining other sponsors to help make this dangerous trip a success. So as new posts, articles, videos and events are posted check in every so often to find out what is new! Previous articleWill Hurricane Beryl Torment South Florida Hoka Hey Challengers?